Through Village Computer Literacy program Mukti wants to help the poor but talented students in their future professional life. 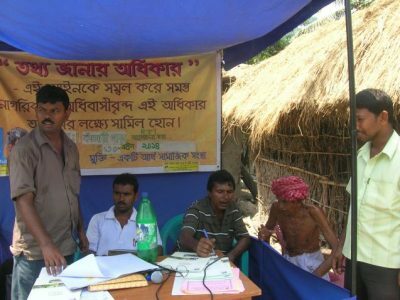 This project helps to spread the computer awareness among the villages of West Bengal where people never came across the computers. This project helps students to know more about various computer courses and get chance to prepare themselves for their jobs. Students as well as non-students are allowed to take this advantages if they meet some specific criteria set by project executive committee. 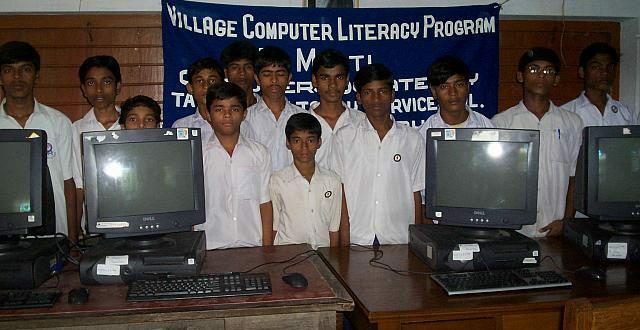 Tata Consultancy Services Ltd., Kolkata has donated 12 computers for the purpose. In the first phase of the project one computer laboratory has been set up in Kasinagar High School near Kakdwip (about 90 Kms from Kolkata). This school has current enrollment of 750 students. Mukti and TCS- Maitree volunteers are training the teachers under Faculty Development Program. 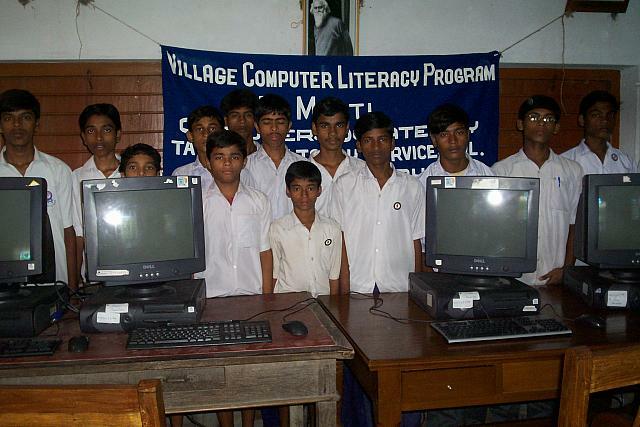 The main goal of VCLP project designed by Mukti is to spread computer literacy in villages. 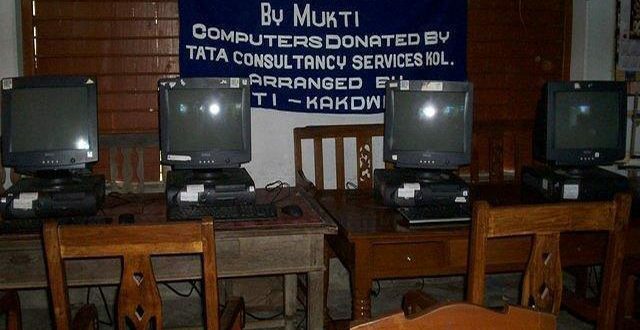 A computer lab was set-up at the Kashinagar School at Kashinagar with the help of ‘Mukti-Kakdwip’. 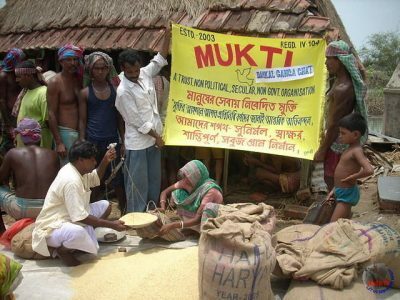 There is another training center opened in Hooghly with the help of Mukti-Hooghly chapter. 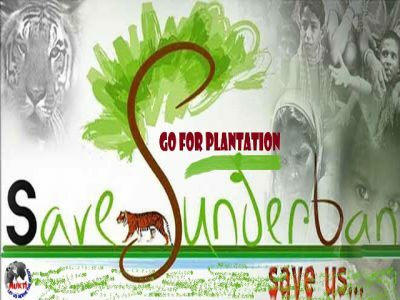 Kashinagar is a small village in the Sunderban Deltas and is located about 90 kms from Kolkata. Cuurently, 755 students are enrolled in Kashinagar High School, most of whom belong to economically backward families. The school could not afford a computer lab, as a result, the students lacked the basic computer skills. The Principal, Mr Shyamal Kumar Samata understood the importance of having a computer lad facility in the school and acted immediately to start the program. The teachings were imparted by computer literate teachers from the school, trained initially by two MUKTI volunteers who even helped with the set-up of the computer room. Not only the students but even their parents were excited. The classes are organized twice a week. Since learning computers is a huge subject in itself and that these students were relatively unknown to this subject, the training program was primarily divided into two parts. The first was to impart Practical knowledge (Microsoft Office software packages like Word, Excel, PowerPoint, and MS Paint) and the second part was to impart Theoretical knowledge (basics of computer system, its architecture, numbering system etc.). The main emphasis was for students to have realized the knowledge of computer system and its application which in turn would help them in their higher studies. Keeping in mind the limitations in number of computers and training personnel (1 teacher and 4 computers), the computer classes were not made compulsory to the students. Only interested computer education seekers between classes V to X were entertained. MUKTI received wide support from the school headmaster, Mr. Shyamal Samanta, who has been very keen and enthusiastic of the project. He is also happy with the VCLP Project – Case Study Village Computer Literacy Program – Kashinagar High School Computer Centre www.muktiweb.org ©MUKTI 2010 Page 2 progress of his students’ education in this subject. His idea aligns with ours in the sense that if we can provide and arrange more computers in the future, more and more students can facilitate from the program and make a better living or higher studies through it. Our Mission: Computer literacy to every child in our society and curving the youth future in jobs related to computers. 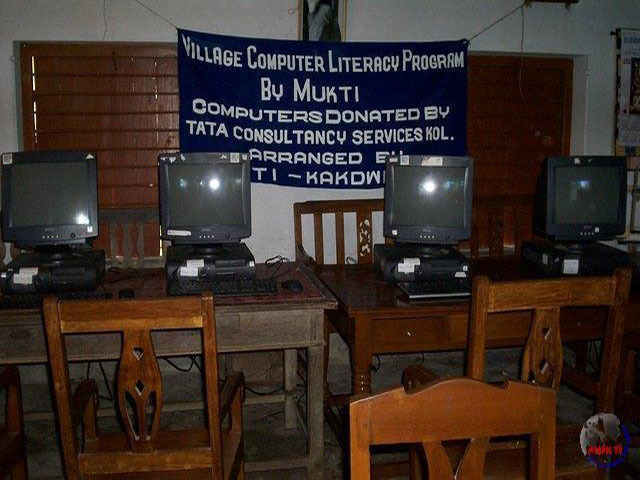 Fund and support to run the project: Mukti along with computers donated from TCS (Tata Consultancy Services Ltd.), Kolkata helped to set-up the key infrastructure to run the project. Manpower: Dedicated professionals & youths having a vision to serve our society & are associated with Mukti to finally run the project. Execution: we have two full time faculties (members of Mukti) (who are imparting training at basic levels of computers along with some professional courses) and one of our member takes care of the security and day to day smooth running of the project. 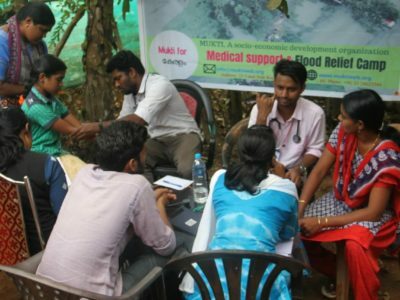 One of our members maintains the reports and feedbacks of the project while sharing the ongoing ideas with other members of Mukti situated in kolkata and aboard. Approach to government of west Bengal, IT department for certifications: Preparing out the best course module and courseware related to the other institutions whether govt. or private. We are planning to go for placement for our professional course, which will start function depending on at least a startup of center functioning for at least 6 months. Course Ware Design: Topics as discussed and are to be implemented. Basic, Microsoft Windows OS, Ms-Office Knowledge of Opens source software, Red hat Linux & Openoffice.org, Internet concepts go ogle tips and tricks, operating browsers like IE and Fire-fox. Accounts – Tally Hardware and Networking: PC Assembling and Troubleshooting, Networking (LAN concepts and implementation such as resource sharing, cabling and configuring). Yet to be designed which can only be done once a center comes up with good number of students database. From where at that time we could implement some high end professional courses for getting our students placed in some good IT companies.